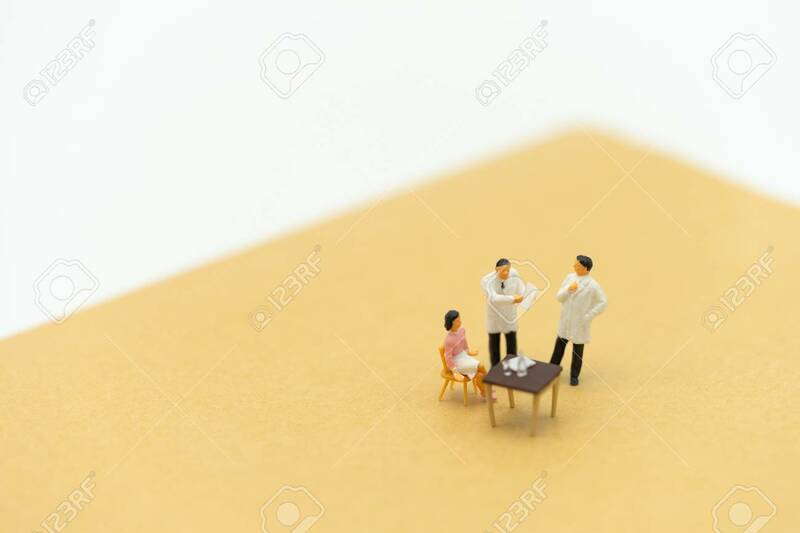 Miniature People Consult A Doctor To Ask For Health Problems. Annual Health Check Or Consult A Doctor From Illness. Using As Background Business Concept And Health Concept With Copy Space For Your Lizenzfreie Fotos, Bilder Und Stock Fotografie. Image 114602996.